Once connected to a hotspot, the captive portal will appear and allow you to introduce your credentials to log in (if it doesn't, open your browser and type any URL, e.g. www.msn.com). This error message appears when too many users are connected to a given hotspot at the same time. Unfortunately, nothing can be done in this case except wait for the hotspot traffic to decrease, or simply relocate to detect an alternative (less busy) hotspot. There is no logout option. To disconnect from a hotspot, simply disconnect from the WiFi signal or switch off your device. It is important to consider though that your connection time will keep running, and anytime you'll need to connect back you'll need to insert your credentials. BT Fon and BT Openzone hotspots are now under one roof called BT Wi-fi. In order to simplify the branding, we changed BT Openzone to BT Wi-fi and BT Fon to BTWiFi-with-Fon. 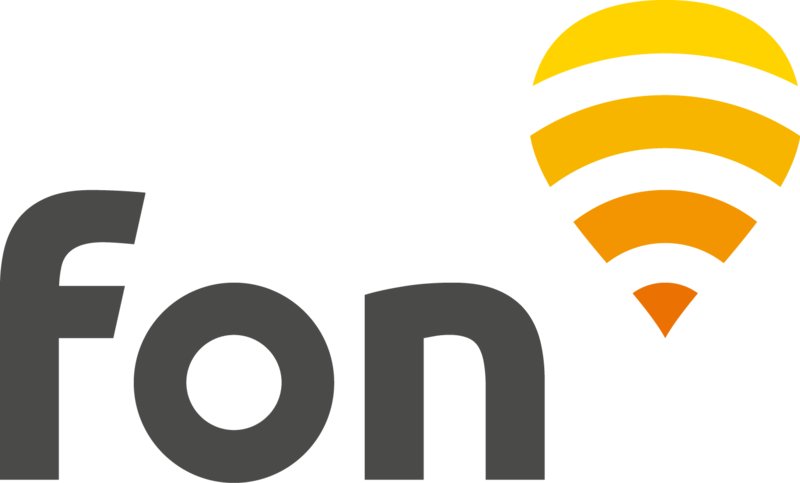 BT Wi-fi (formerly BT Openzone) is a premium wireless service independent from the Fon network, with hotspots in airports, hotels, stations and businesses around the UK. Fon passes bought by non-members are only valid at BTWiFi-with-Fon hotspots, and can't be used on premium BT Wi-fi hotspots. Should you obtain the above message after trying to access a SFR WiFi FON signal, please note that it is generated by SFR to remind the owner of the router creating the hotspot you're trying to use, that their service was suspended for unpaid invoices. Consequently, apart from affecting their own service it affects all users who'd like to use that hotspot. In case you have passes available on your account, please note that you will be able to use them during a year following the date of purchase. However, if none of the alternatives offered above suit you, please submit a ticket to our Customer support team providing your user account email to request the corresponding compensation/refund, if applicable.